Is wearable tech still a thing? 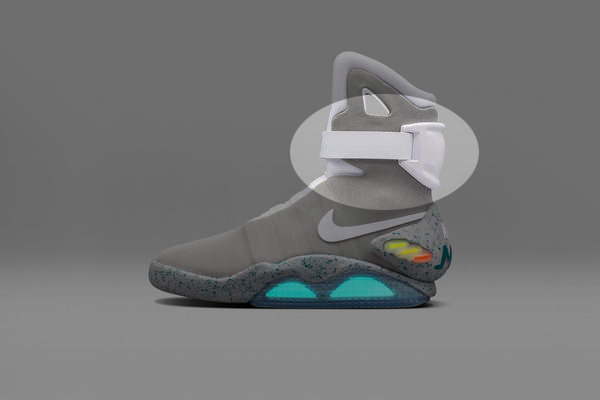 Here is a wristwatch version of the Nike Mag, otherwise known as those self-lacing shoes from Back to the Future Part II. The design cues borrow from the strap and ankle brace. The replica shoes Nike released in 2011 and 2016 still fetch obscene prices on eBay today, so I felt an alternative/affordable product would be ideal for BTTF fans. 2019 marks the 30th anniversary of the sequel, so hopefully something like this will be offered to celebrate the occasion.